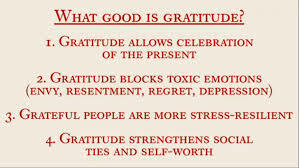 This week we focus on gratitude and the things we are grateful for. Like many, I personally have many things I’m grateful for. My health, my family and the fact that I get to do what I love and make a difference in one way or another, for people everyday. And, I’m grateful for YOU! We all have the ability to show our gratitude or make a difference for others on a daily basis. There are also ways that have an even greater impact. Sometimes they require asking them what need or want and then listening. We have the opportunity to give a referral to help solve their most pressing problem. It is nice to be the solution. But also, what is the referral or referral partner that they need that could make a difference in their business? Perhaps you know that person they are looking to meet and you can make an introduction. Our region is expanding and to continue to make a difference for YOU, we are looking for your help. We are in need of locations for chapters, training and new chapters in other parts of our region. Do you know someone you could make a difference for that has a space or a restaurant that would like some extra traffic? Or maybe you've been in a location and thought it would be a great meeting space. We would love an introduction! Today and everyday, we are grateful for so many things. Take the time to tell those who are dear to you how you feel. Make a difference for those around you. You could make someone’s day!